Have you ever had an anti-virus application installed but somehow still ended up becoming infected when you executed an application or inserted a USB disk into your PC? Well if you have then you know how frustrating it can be. I have installed one of the best anti-virus applications installed with the latest database but found that occasionally when a colleague inserted an infected USB disk or the virus file was newer that the latest database; I was still infected with the virus. 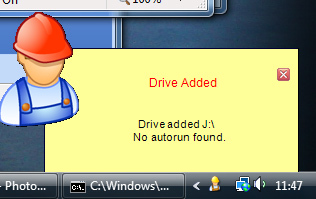 This usually wasted hours to try and resolve and could sometime even mean a complete Windows reinstall. Therefore I developed VMON. 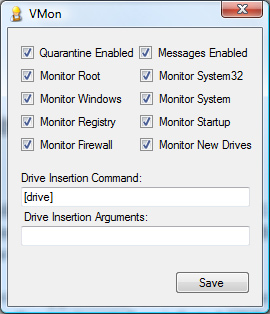 VMON runs along side your typical anti-virus and monitors any inserted disks and drives to disable auto-runs. It can also execute your anti-virus application to check the disk. VMON does not stop there; it also monitors key areas of your system for changes and warns you when a serious change is occurring. 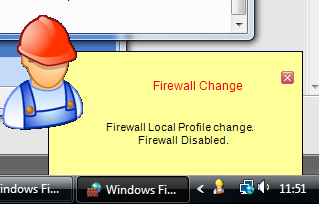 VMON will try and quarantine any file changes and warn you that a change has occurred. 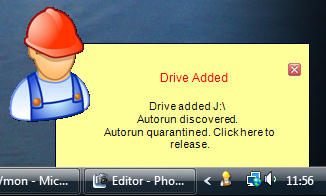 You can then release the file from quarantine if required. 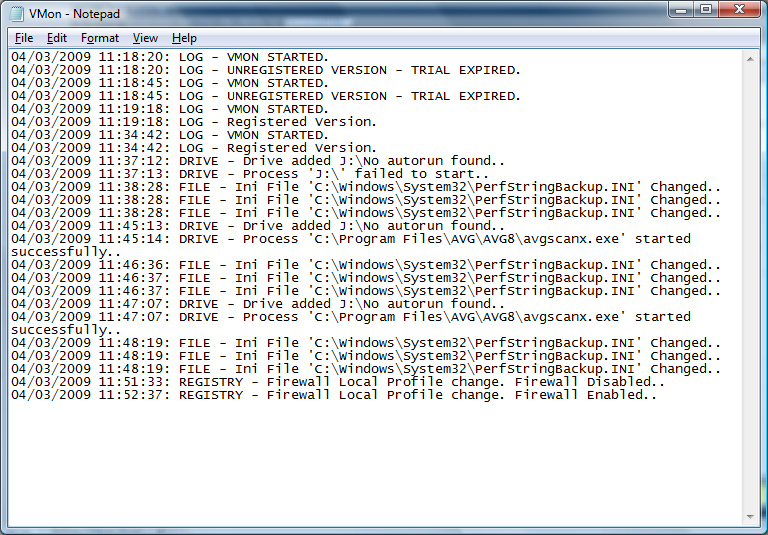 Finally VMON will also monitor key areas of the Windows registry and log every change that occurs. This is useful for undoing virus damage. * Please note that VMON is designed to work along side your Anti-virus application. 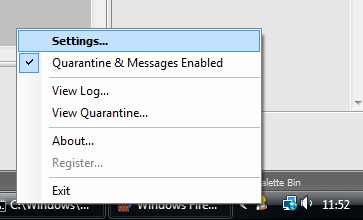 VMON notifications and quarantine should also be disabled when installing new software or updating Windows.